Facial Peels – What Are They? Should I be using facial peels? All skin types can benefit from a facial peel – whether you want smoother texture or a more luminous, healthy glow you can achieve a better complexion. If you suffer from particular skincare issues like acne or pigmentation, a peel can work wonders for you. At home facial peels are gentle enough to use safely without any recovery time needed – forget scary side effects and salon horror stories – skin will be left smooth and supple with no need to hide away in the house. An innovative multi-purpose peel developed with a blend of five acids that gently renews even the most sensitive of skins – five ways in just five minutes. Mandelic acid refines texture, as lactic acid smoothes rough spots and eases the look of fine lines and wrinkles. Phytic acid brightens and evens out skintone, while salicylic acid unclogs pores and hyaluronic acid deeply hydrates. These pads also physically buff away imperfections to uncover younger, fresher-looking skin. 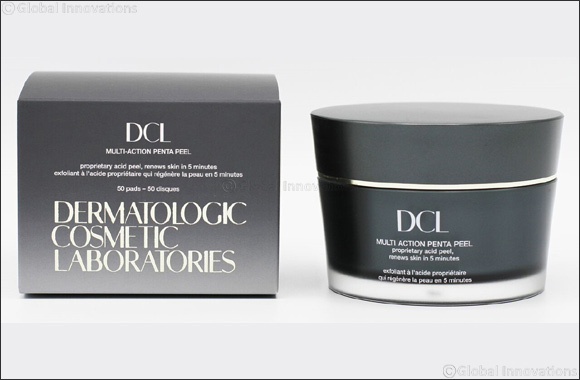 A professional strength peel formulated with glycolic acid for powerful anti-aging and anti-acne benefits. These pads deliver both chemical and physical exfoliation to optimise cell renewal and achieve the most intensive results – smooth away dry, dead cells to deeply retexturise skin and uncover a brilliant luminosity. As a company with an ethical approach to beauty, DCL products are not tested on animals, free from parabens and hypoallergenics. Dedicated to research and development, DCL is continually seeking out even more innovative ways to give a brighter, fresher and more youthful complexion.